Live Nation Australia and New Zealand posted this pixelated picture to their page today saying they were bursting with some news to tell but this photo was all they were allowed to share and that hopefully more information would be provided tomorrow. 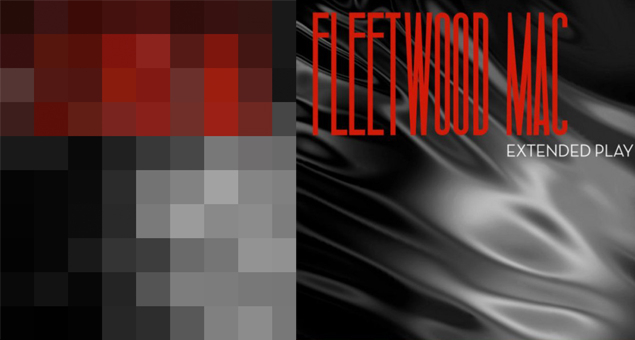 Faster Louder posted on their site they believe it's the cover of "Extended Play". and that Live Nation are about to Announce Fleetwood Mac's Australian / New Zealand tour... I think they're right. With the Australian and New Zealand leg of the world tour all but officially announced by pretty much all the band members through various interviews with Stevie, Lindsey and the meet and greets with Mick, all that's left is to announce the actual dates - which will likely take place late November and into December. Live Nation Update 5/24/13: BIG Tour Announcement coming Sunday! This was posted almost 3 days ago. So much for the announcement being imminent.